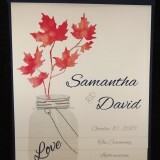 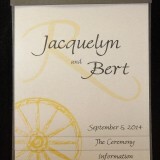 Although every custom invitation we create is different, these custom invitations are a bit different. 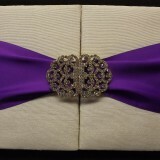 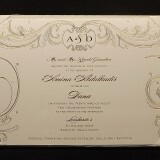 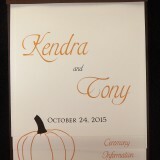 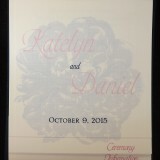 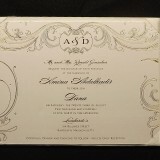 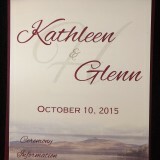 They include silk folios, boxed invitations, and our very popular and Emerald’s own “multi-layered” invitations. 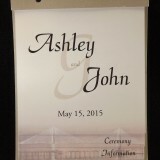 The multi-layered invitation covers everything you need in 1 small package including the ceremony information, accommodations & directions, and a tear away response postcard.